Card games can be pretty deep and involving, and on top of that, they’re usually much easier to set up and put away. 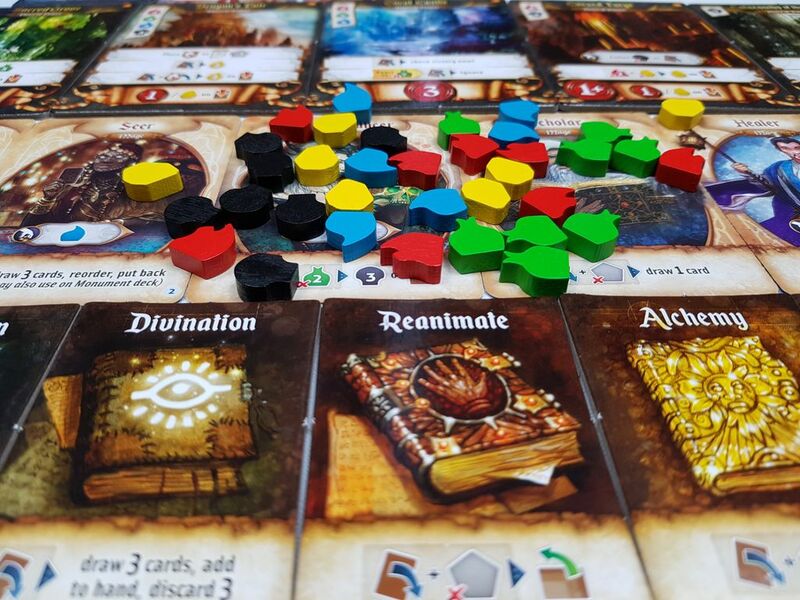 Res Arcana is a classic example of a game that is easy to understand, easy to play and easy to set up but is also deep and involving and makes you want to keep coming back to it. 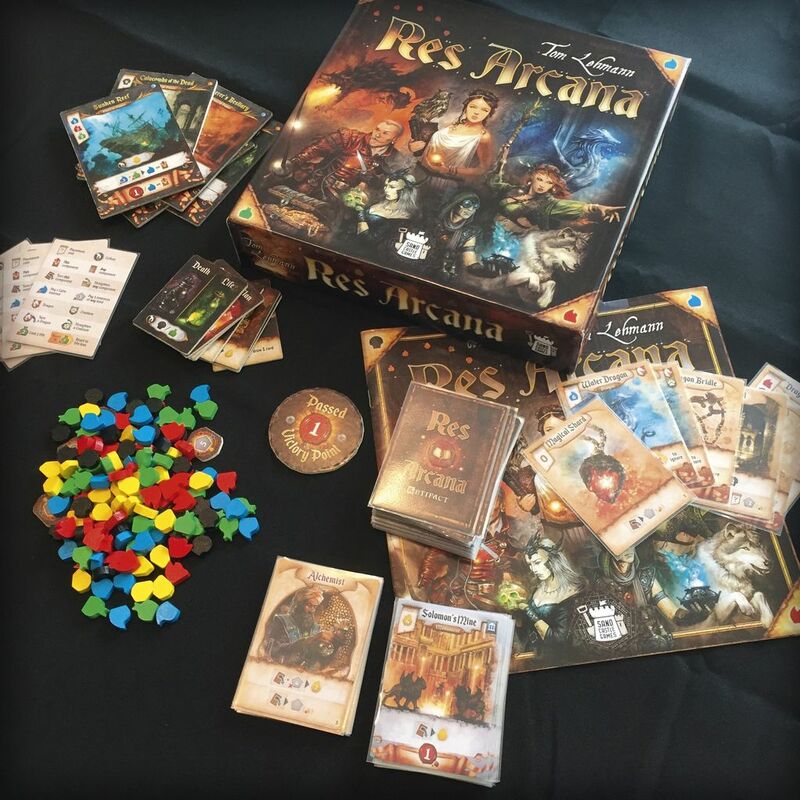 Res Arcana comes to us from Sand Castle Games and was designed by Tom Lehmann, co-designer of Roll for the Galaxy. 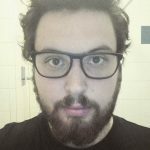 The artwork was produced by Julien Delval, a French artist who has in the past produced artwork for hit games such as Ticket to Ride and Battlelore. 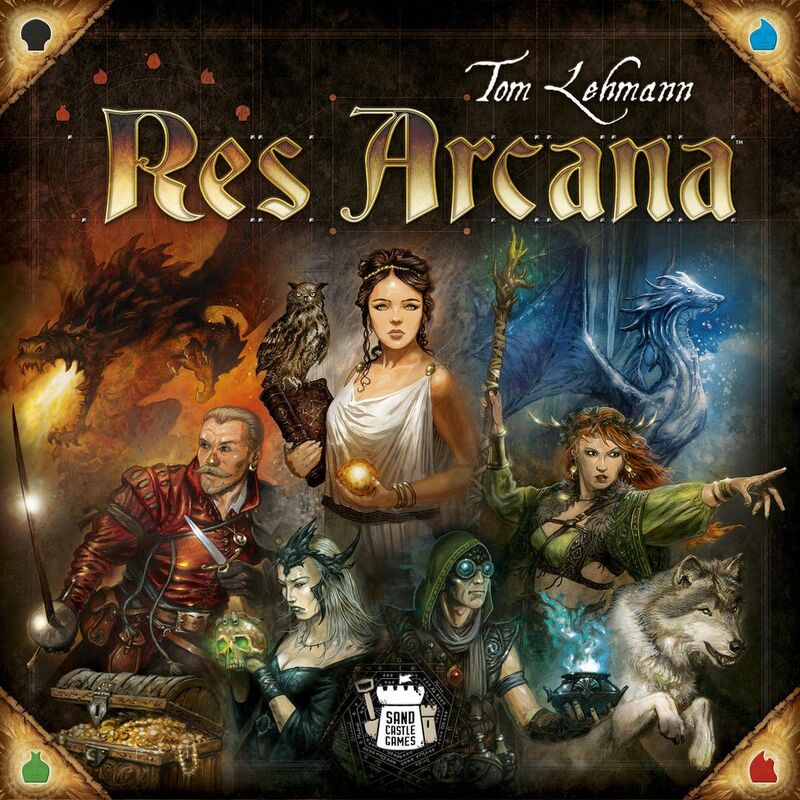 Res Arcana puts 2-5 players in control of one of ten different mages and has them try to magic their way to victory by gathering essences, casting spells and using magical artefacts. There are places of power to draw energy from, and monuments to bolster your magical abilities. First player to reach ten victory points is declared the winner and, therefore, is the best magician. The main crux of Res Arcana is using your different components to generate elemental essences that you can use to gain points or buy more components. 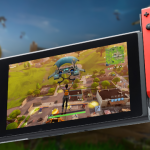 The game usually lasts about 4-6 rounds and can be anywhere from 30–90 minutes depending on how many people you have playing it. A lot of the time the strategy in the game comes from how to spend your essences. You might be able to buy something powerful, such as the places of power or the monuments, but you’re usually better off ensuring that you have items with collection abilities to sure up your resource gathering. At the beginning of each round in Res Arcana, you can activate collection abilities. These are attached to your various components and give you free resources at the beginning of your turn, meaning that making sure you have as many collection abilities as possible is crucial to success. Having said that, it’s also important to balance buying stuff with collection abilities on it and actually spending your essences on victory point items. Some of the essences in Res Arcana are more important than others. While you can get most of the different flavours pretty easily, gold is sort of harder to come by but is also the only way of getting your hands on monuments. Most of the monuments aren’t necessarily crucial, but they usually provide you with a useful bonus effect, or at least a chunk of your needed victory points. Each player in Res Arcana starts with an eight card deck and draws three cards to form their opening hand. 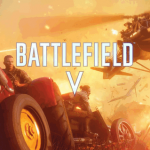 Of all the cards in the game, each player only has access to eight per game, with no more being brought in by special cards or abilities. This does make the game feel limited in variety at times, especially with lower player counts. It would have been nice to have a game mode that had fresh cards cycling in and out of the game. There are some more niche options for rules with Res Arcana. If you’re a fan of many collectable card games, you can actually use some draft rules for making your decks at the start of the game. Instead of just dealing the cards as normal, each player gets to look at their cards, pick one, then pass the others around the table. Again, this works best with a larger group of players, but even with just two people, it adds an extra layer of spice to the gameplay. The artwork in Res Arcana is classic dark fantasy. There are a lot of black and dark blues, and all of the other colours included are always very dark in tone. There is an occasional component that breaks this rule, such as some of the brightly lit monument cards. These are usually filled with yellows and pale blues, making the figures on them seem to stand taller. All in all, the dark fantasy-themed artwork suits the game better than the bright art does, and it’s exactly the sort of thing a simple game needs to make itself feel more special. Overall, Res Arcana is a grand little card game themed around magic. It has some stellar artwork, and the game manages to be quick and simple without feeling like a game designed for young children or non-tabletop gamers. It has all the flavour and fantasy-themed artwork of bigger games without any of the overly bloated mechanics. For more games like Res Arcana, visit Asmodee or find your nearest games store. Res Arcana ended up being the perfect blend between modern board game and simple classic. It has more punch than a party game does, which is certainly helped by its classic dark fantasy themes and artwork. If you're trying to bridge the gap between simple party games and more complex situations, then you could certainly do much worse for an option than Res Arcana. Plus, who doesn't want to be an awesome wizard?